DailyMailTV, launched across the U.S. on September 18th 2017. DailyMailTV has the best of DailyMail.com, the world’s most read English-language newspaper website, to life on television, with an edgy, fast-paced daily show featuring the hottest headlines, trending topics and celebrity breaking news from around the world. With over 1,600 stories, 800 videos and more than 12,800 photos posted daily – and 1.2 billion video views on Facebook per month – the website is a built-in news-breaking machine, and each show will take its lead from the dailymail.com’s biggest exclusives of the day. From breaking news to showbiz, crime, health and science and technology, DailyMailTV will be must-watch television that brings to life the very best of DailyMail.com five days a week. Sharing captivating stories from across the United States and around the globe, viewers may become addicted to DailyMailTV, just as they have to DailyMail.com. 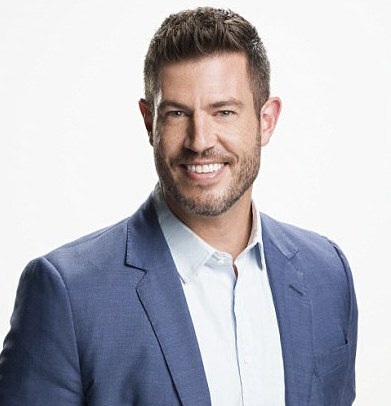 The host of DailyMailTV is Jesse Palmer. The former University of Florida quarterback began his on-camera career at ESPN after five seasons in the NFL. In May 2015, Palmer joined the “Good Morning America” talent lineup. Palmer drives the second hour of the show by focusing on big stories, news of the day and signature live events; he also contributes across all ABC News platforms. Additionally, in the off-season, Palmer is often seen expanding his culinary interests while hosting Food Network’s “Food Truck Faceoff,” “Spring Baking Championship,” “Holiday Baking Championship,” Canada’s “Recipe to Riches,” ABC’s “The Chew” and the “Rachael Ray Show."